A pair of recalls for fuel vapor leaks on Can-Am Spyder roadsters has expanded to the U.S. According to the National Highway Traffic Safety Administration, one recall affects 9,600 units from model years 2008-2010 while the second, larger recall affects 33,700 from model years 2008-2012. An earlier recalls from Transport Canada affects 9400 units for the a fuel cap issue and 2,431 units for a fuel vapor canister vent hose issue. 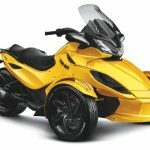 The smaller recall (NHTSA campaign ID #12V581000) applies to Can-Am Spyder GS units from model years 2008 and 2009 as well as a limited quantity of 2010 Can-Am Spyder RS units. According to documents released by NHTSA, fuel vapors may escape from the fuel vapor canister vent hose within the engine compartment. In the presence of an ignition source, the vapors may ignite, resulting in a fire. 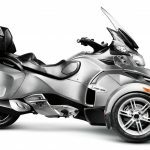 The larger recall (NHTSA campaign ID #12V582000) applies to Spyder GS models from model years 2008-2009, Spyder RS models from 2009-2012 and Spyder RT models from 2010-2012. According to the recall documents, the fuel cap on the affected units may not properly form a seal with the fuel tank filler neck. Fuel vapors may thus escape from the fuel cap, also creating a fire risk. 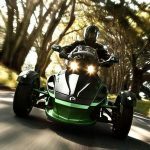 According the the recall documents, Bombardier Recreational Products received four vehicle fire claims in May 2009, all involving a 2008 GS model. Those fires occurred when the vehicle was stopped or moving at very slow speeds. BRP initiated an investigation and identified fuel vapors from the vapor canister vent hose as a potential cause but could find no pattern of causation. BRP continued to monitor the situation and received reports of additional vehicle fires. Some of those reports also appeared to be related to the fuel vapor canister vent hose. 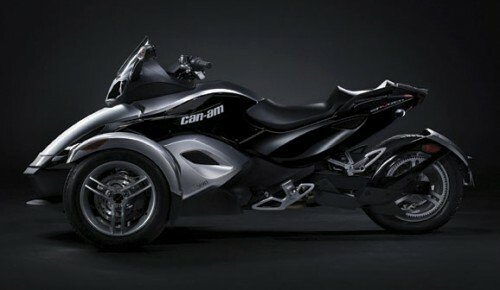 BRP continued its investigation, expanding it to include 2009 models including the RS. 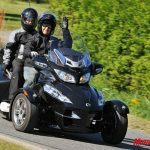 Further reports continued to come in, and BRP tried to identify potential differences in fuel, electrical systems, seats, and the electrostatic charge qualities of fuel lines and connectors on fuel vapor sources. In February 2012, BRP confirmed the fuel vapor canister vent hoses and fuel caps may be a potential source of some of the reported fires. 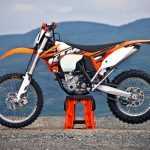 BRP concluded its investigation on Dec. 4 and determined there was an unreasonable risk of harm and initiated the recalls. As of Dec. 11, BRP says it was aware of 12 fires linked to the fuel vapor canister vent hoses and 18 fires linked to the fuel cap. Dealers will inspect recalled units and, where it applies, replace the fuel cap with an improved cap and install or re-route fuel vapor canister hoses.